Oooh! Sparkly rainbow caps on this nail polish range! But do they match the guts? Hallo everybody! 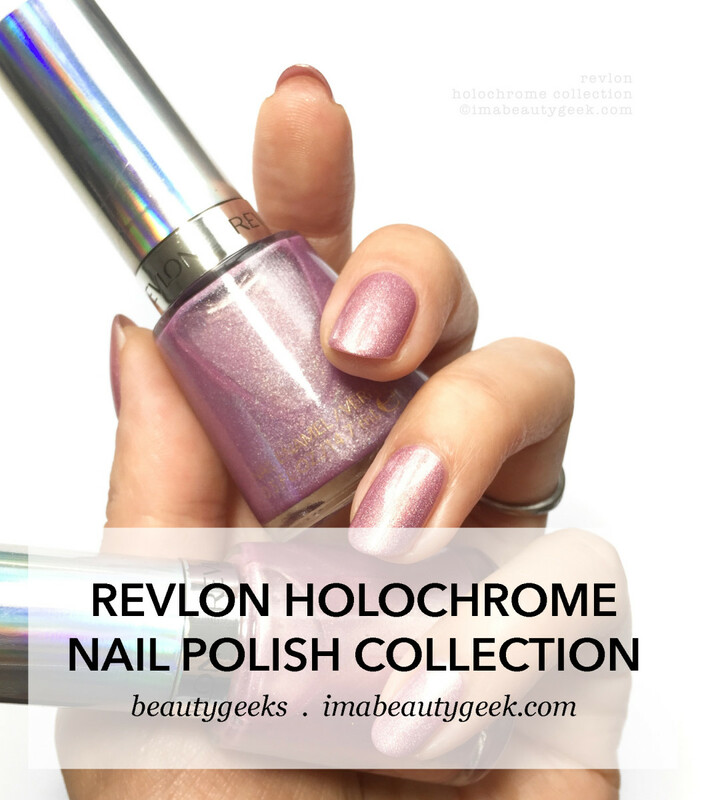 It’s been a long time comin’ but I finally got around to slappin’ up your swatches of the Revlon Holochrome Collection! Yay! 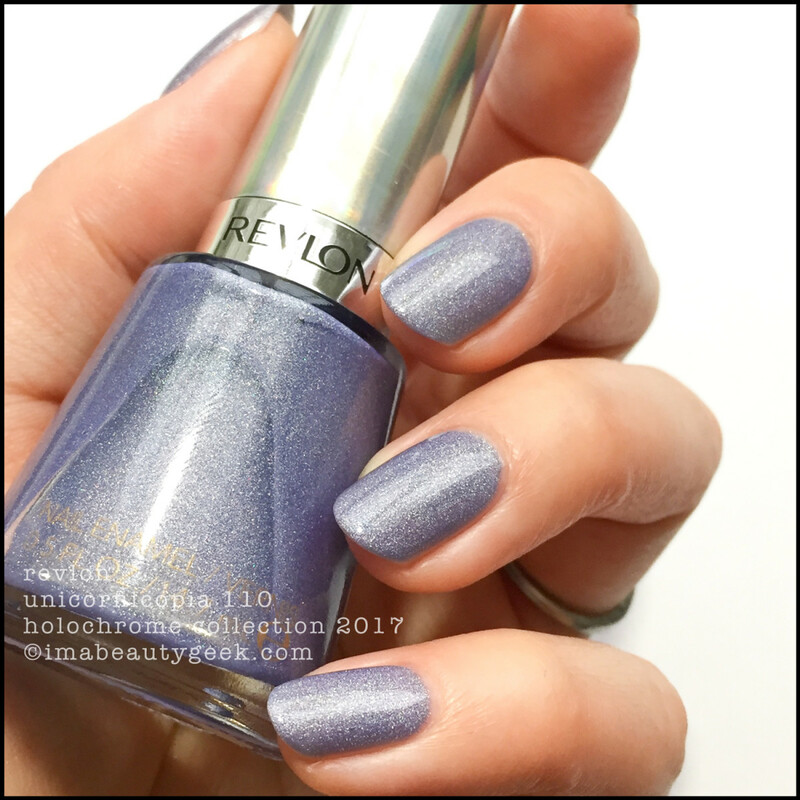 Revlon Unicornicopia 110 (above). These 8 shades hit stores late last year and I’m sure I’m not the only one who found the collection name misleading. It’s been hard to get movin’ on this write-up because the name just doesn&apos;t jive with what&apos;s in (or rather, not in) the bottles. To put it bluntly, the caps have more holochrome than the actual polishes. 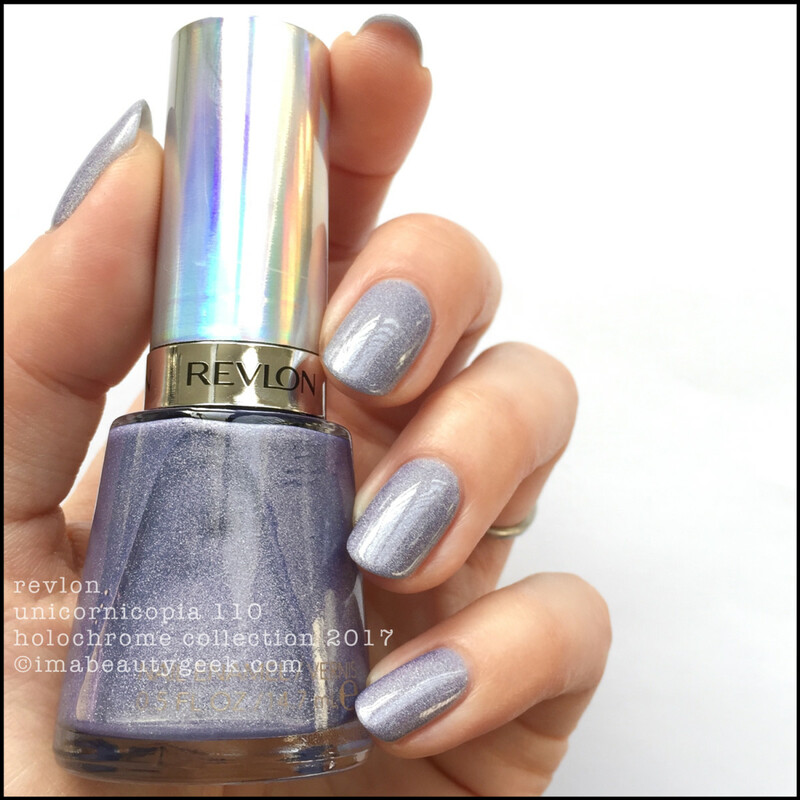 Revlon Unicornicopia 110 (above). The holo in these here shades is so subtle that it should never have been given top billing. Then, the finish on the chromes is so brush-strokey that they could have been called brushed metals. But you know what? I ain’t the marketing machine for Revlon, so what do I know? Lemme tell you what I DO know – if you bought any of these thinking they’d be either holo or chrome, the marketing machine won and you lost. But here’s the thing: even though it&apos;s hard to get past the failure of a collection name, the shades are decent. Not holo and not chrome, but apart from that, decent. 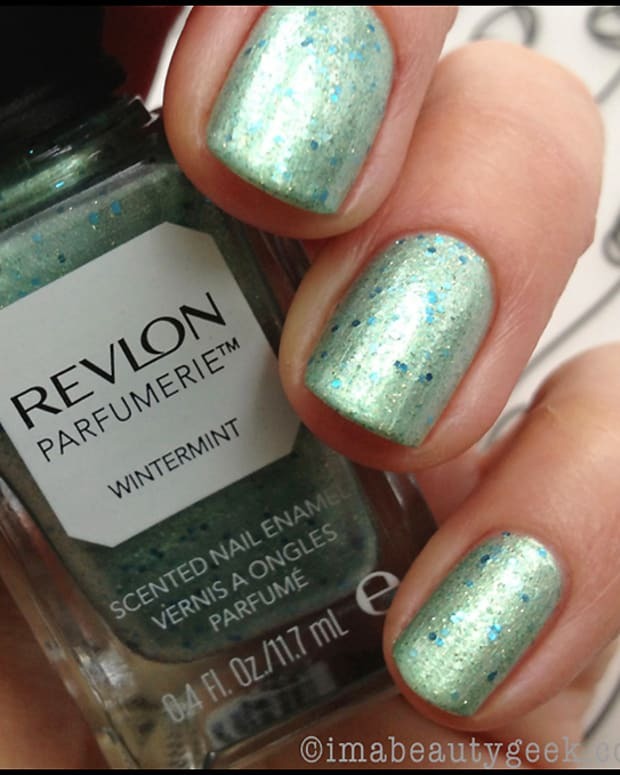 Revlon Fairy Dust 115 (above). 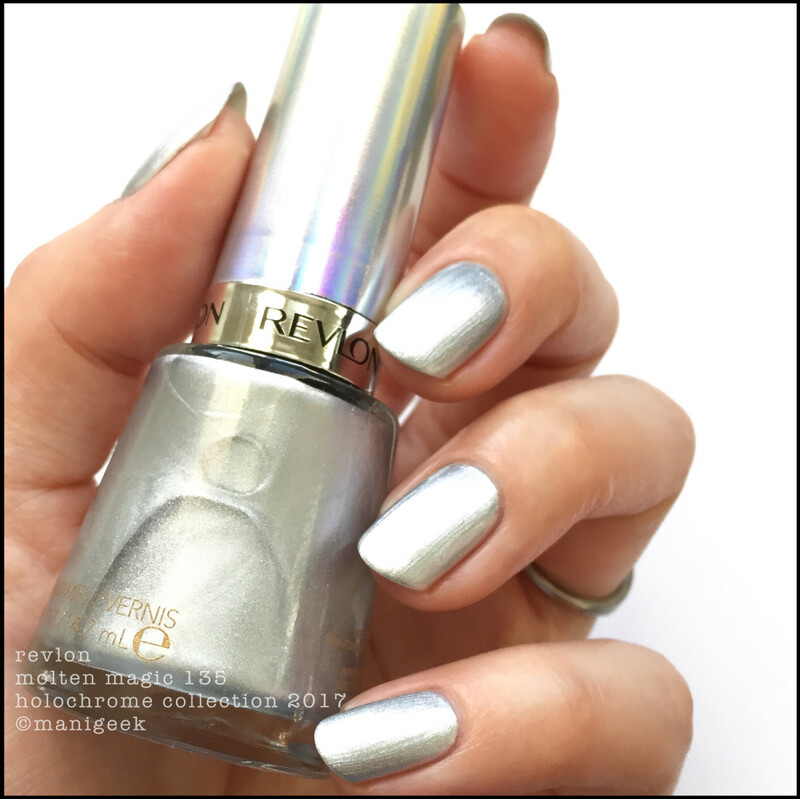 To me, there’s something appealing about the silvery-cool, almost stainless steel kind of look that holos have when they’re in indirect, filtered light. I like that part of holos as much as I like the rainbow part. If you&apos;re all about rainbows though, these Revlons are 100% not that. 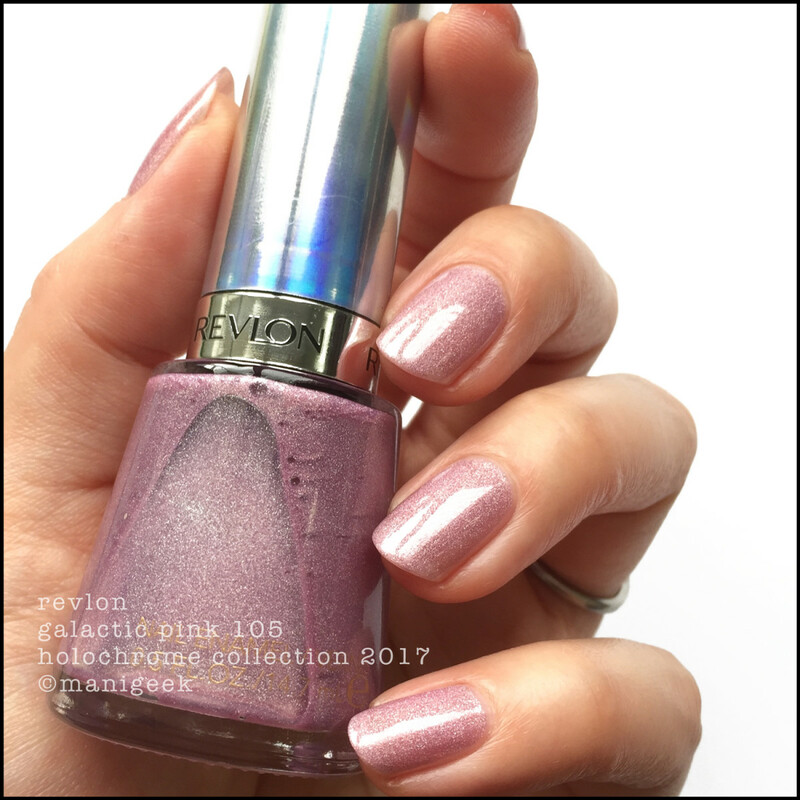 Revlon Galactic Pink 105 (above). There is holo in these, but to find it, you’ll have to turn on your Ottlite (or the bright, bright sun) and then twist yourself into a pretzel and squint real hard. I don’t pretzel. I refuse. I also can’t turn on the sun. Revlon Hologasm 100 (above). I chose to shoot in my regular natural light so you could see what I see. And what do I see? Pretty polishes that take too many coats to get where I need ‘em to be in terms of opacity. 3 coats for the holos and 2 coats for the chromes. Ppfft. Revlon Blushing 125 (above). Do I think any of them are worth picking up if you’re looking for a holo? Nope. 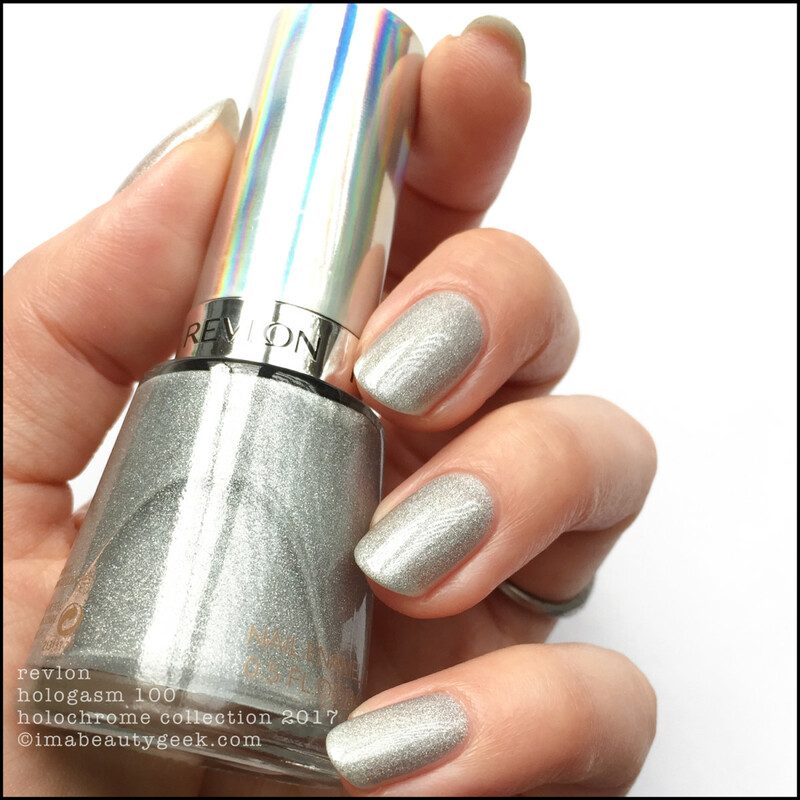 There are far better holos out there and most of them have this same silvery look in indirect light. And the chromes? Yeah, again, there are better ones out there that’ll get you a better finish in a single coat. 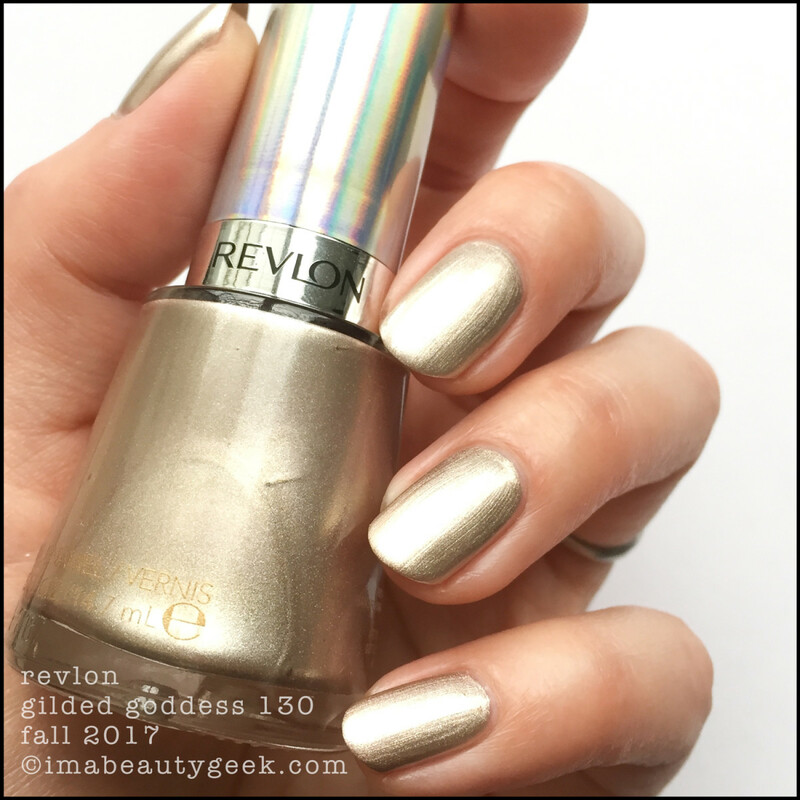 Revlon Gilded Goddess 130 (above). 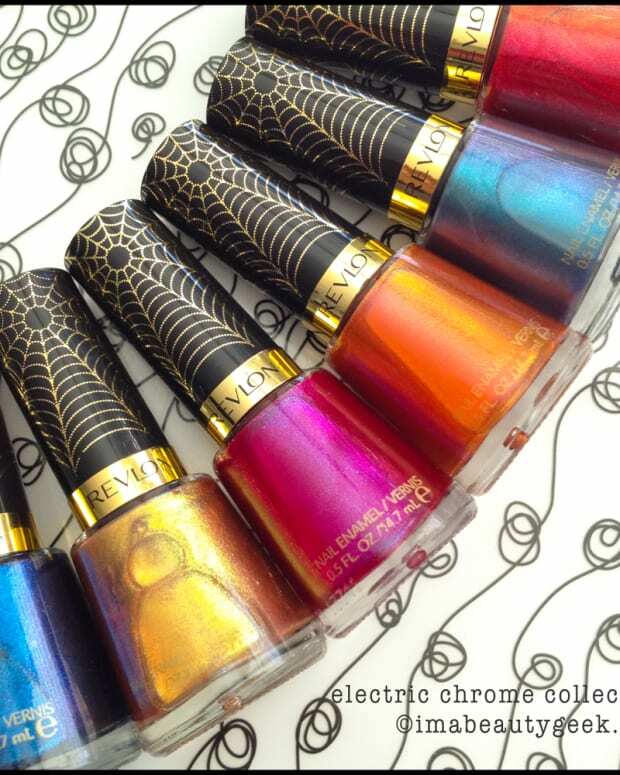 But here’s the question: will any of these 8 Revlon Holochrome Collection shades make it into my Archives? Yep, all of ‘em will. How come? Because I like the attempt. 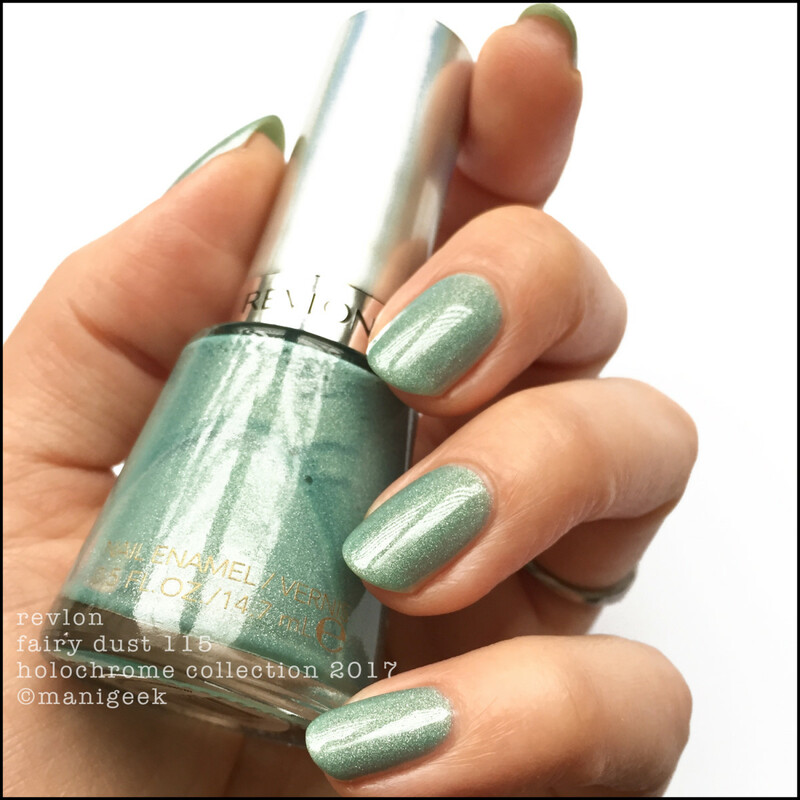 They’re nowhere near what any of us nail polish junkies would ever consider calling holo (or chrome - except maybe the duochrome below), but they’re an attempt by one of my favourite, easily accessible drugstore brands to be current-ish. The fail of a collection name makes me kinda sad, but the fact Revlon even tried (when so many of the other big brands haven’t) makes me think they might get more creative in the future. 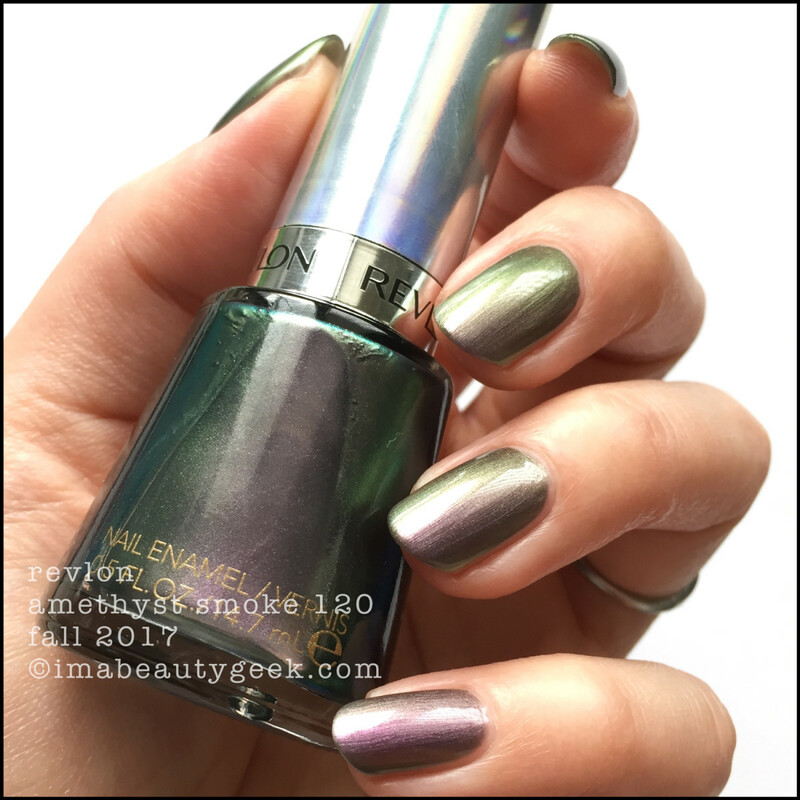 Revlon Amethyst Smoke 120 (above). And finally, hey! If you got suckered by the collection name, do yourself a favour and dig through your top coat drawer for your bottle of Revlon Holographic Pearls #756. Slap a coat of that over your Sucker Shade - it’ll do the trick. #TrustMe. Revlon Molten Magic 135 (above). Now let’s talk about that marketing machine and whether or not you felt duped when you bought your bottles! I needa know! Manicures & Photos Karen Falcon (She used her Revlon QDTC on all of these. She also bought Fairy Dust 115 because she wanted to have the whole collection and PR didn&apos;t have that shade in).